The Liberation is set in Italy in 1945 as British and American troops attempt to bring order to the devastated country and Italy’s population fights to survive. Caterina Lombardi is desperate – her father is dead, her mother has disappeared and her brother is being drawn towards danger. One morning, among the ruins of the bombed Naples streets, Caterina is forced to go to extreme lengths to protect her own life and in doing so forges a future in which she must clear her father's name. An Allied Army officer accuses him of treason and Caterina discovers a plot against her family. Who can she trust and who is the real enemy now? And will the secrets of the past be her downfall? This epic novel is an unforgettably powerful story of love, loss and the long shadow of war. 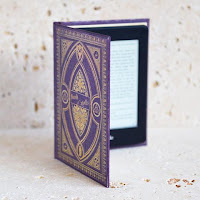 Kate Furnivall is a new author for me and with such an eye-popping back catalogue I don't how I have got through my reading life without her. It was love at first sight as I turned the first few pages of The Liberation and I just knew that I was going to be in for an epic post-war adventure in beautiful Sorrento. Caterina Lombardi is the backbone of her family. She lives with her brother and grandfather in the war ravaged city of Sorrento, in a post-war Italy where people are struggling to survive. Caterina has a rare gift that has enabled her to carry on her father's craftmanship of creating stunning woodwork. She takes her wares to Naples and despite a run in with the street children, the wily and tough scugnizzi, she sells her products to the British and American troops stationed there. It is there that she meets two intelligence officers, American officer Jake and British officer Harry. When they start asking questions about her father, Caterina won't believe that her father would steal from Italy herself but, as the evidence mounts up, she wonders if she really knew her father after all. Caterina is desperate to clear her father's name but there are those who want the secrets to remain buried and Caterina has no idea how much danger she is in. Caterina, however, is like a lioness defending her cubs as she does everything possible to keep her family safe. I was completely swept away to Sorrento whilst reading The Liberation. Although ravaged by war its beauty still managed to shine out from every page, thanks to Kate Furnivall's warm and effusive writing. The Liberation was everything I could have hoped for (and more) with secrets, passion, danger, intrigue, skulduggery and a treasure-hunt style adventure. An absolutely stunning and breathtaking epic written with such vivacity that, although a fair sized weighty book, made each one of the 552 glorious pages turn over with ease. It may be my first, but it definitely won't be my last Kate Furnivall book. They all look absolutely mouthwatering novels, but my love of Egyptian history has ensured that Shadows of the Nile is at the top of my wishlist. 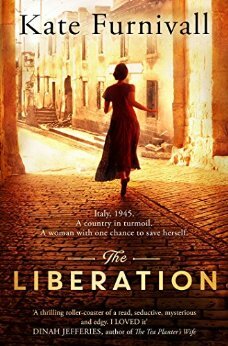 A well deserving 5 star read, I strongly recommend The Liberation - don't miss your own chance to visit Kate Furnivall's Sorrento.